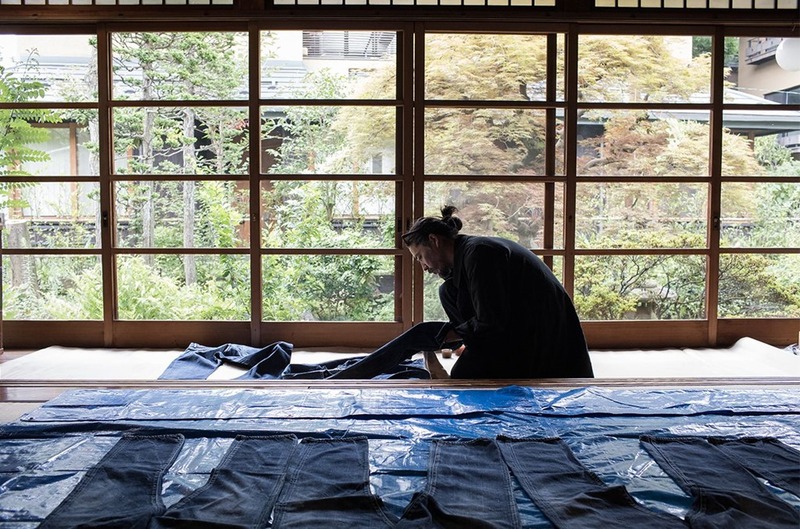 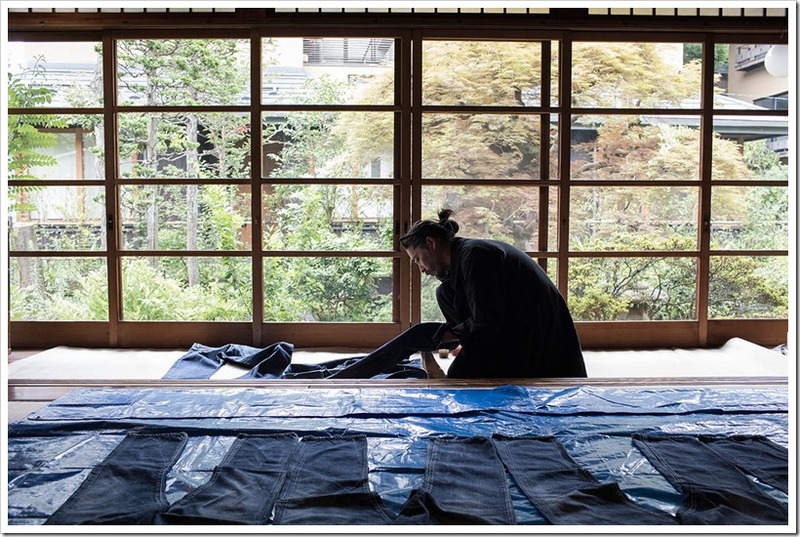 Since its foundation in 2000 by designer Hiroki Nakamura, Visvim from Japan – has been involved in the creation of footwear and clothing products through their on unique processes and methods which resulted in products like Gore-Tex outerwear, natural indigo-dyed kimonos, Native American-inspired sneakers being launched. 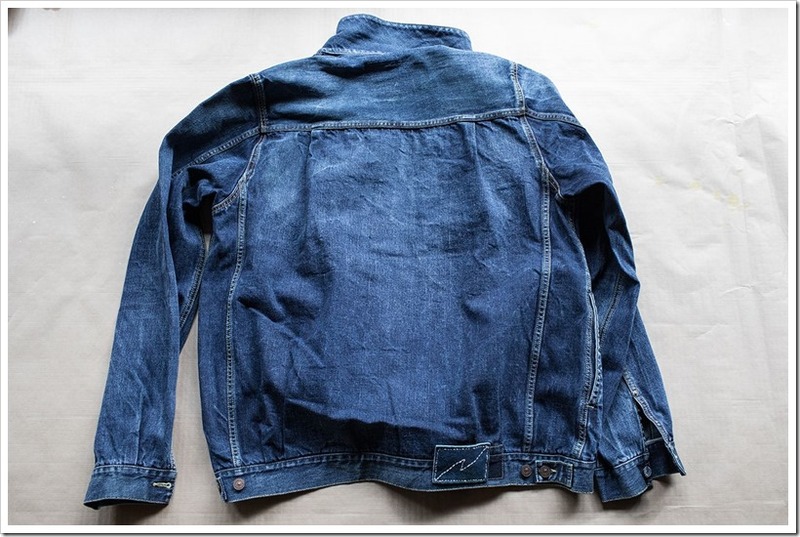 They have been also working to bring out their original version of creating “DRY DENIM” and seems they have been able to do it ! 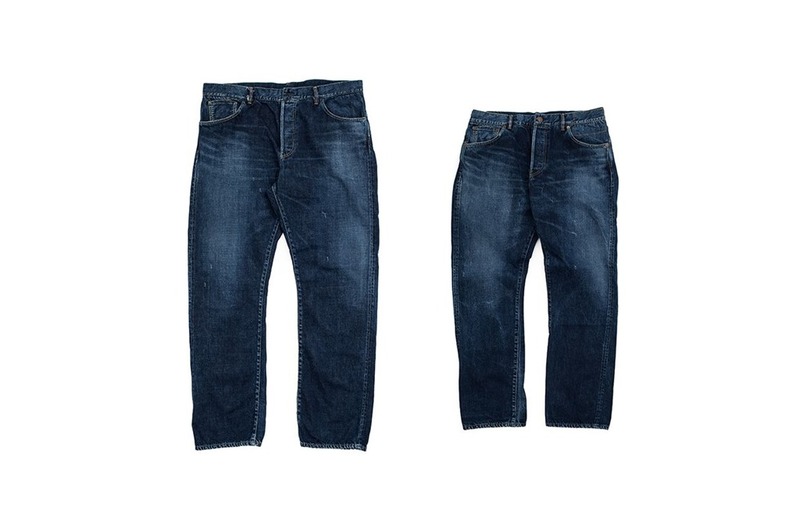 A special treatment is applied under this technology which removes the oil found in the cotton fiber used in denim and will give an absolute dry feel. 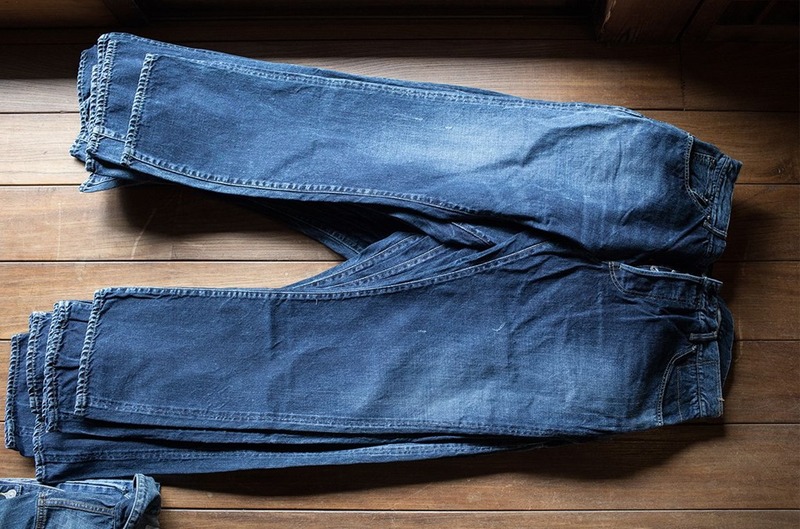 They were always interested in Vintage denims and had conducted countless trial and errors in attempt to reproduce the unique feeling of vintage denim with the damaged denim that they manufacture, but one characteristic that we could not imitate and duplicate was the distinct “dry feeling” that vintage denim possesses. 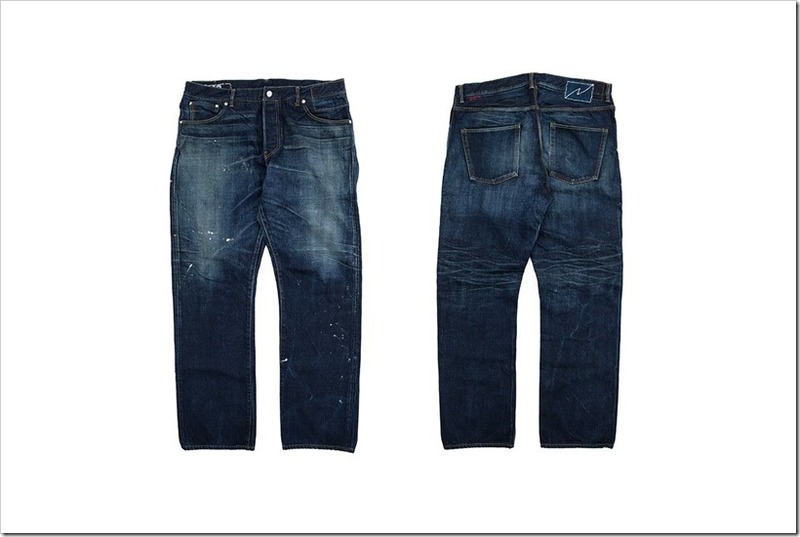 With this new process they developed, it seems they are able to get a very DRY LOOK. To reproduce the texture and unevenness of the fabric they finally came up with a method that consisted of applying a special treatment to remove the oil found in the fibers of the denim.Shrinkage from this process is extremely severe and difficult to control; it is a complex technique that normally should not be used for natural fibers.The stitches are also shrunk, so the width of the denim becomes finer and narrow. 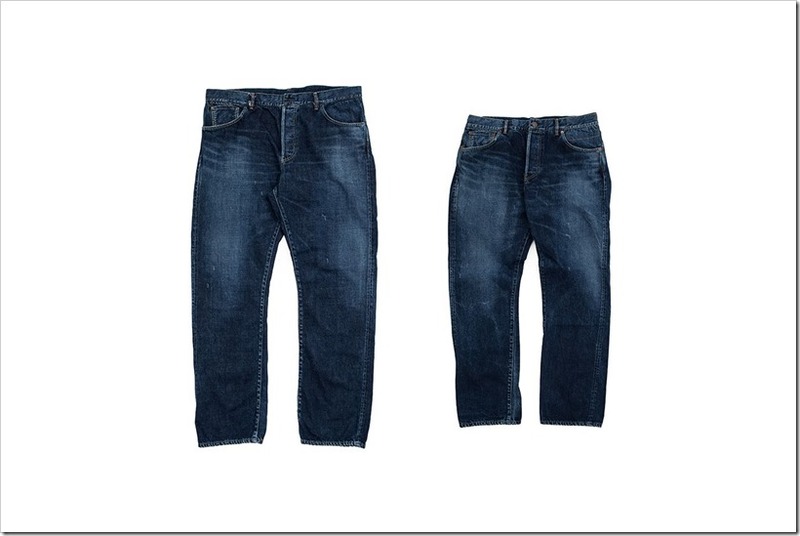 To stabilize the shrinkage and to find consistency, many test were conducted and after repeated tests they finally came up with their own original “DRY DENIM®”, which featured tightly woven fabric and a dry and deep texture. 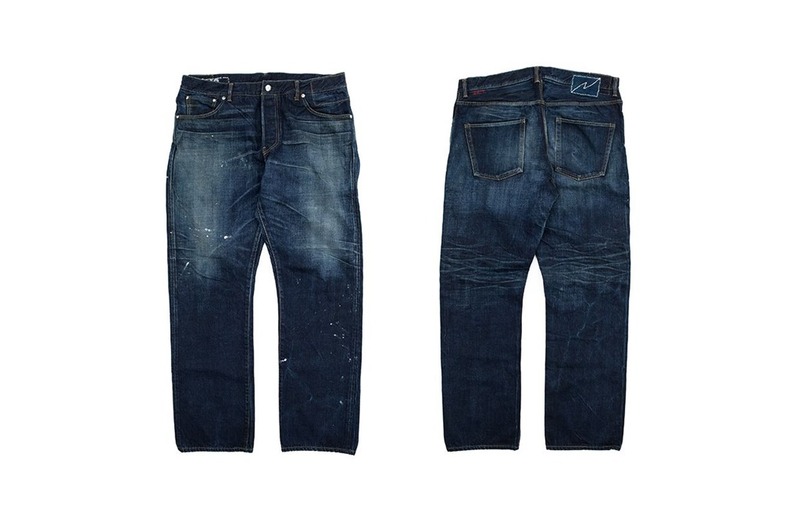 They were finally successful in incorporating the appeal found in vintage items, not just in terms of surface appearance but texture as well.The textures, colors, and finishing processes are different with each pair of this unique denim. 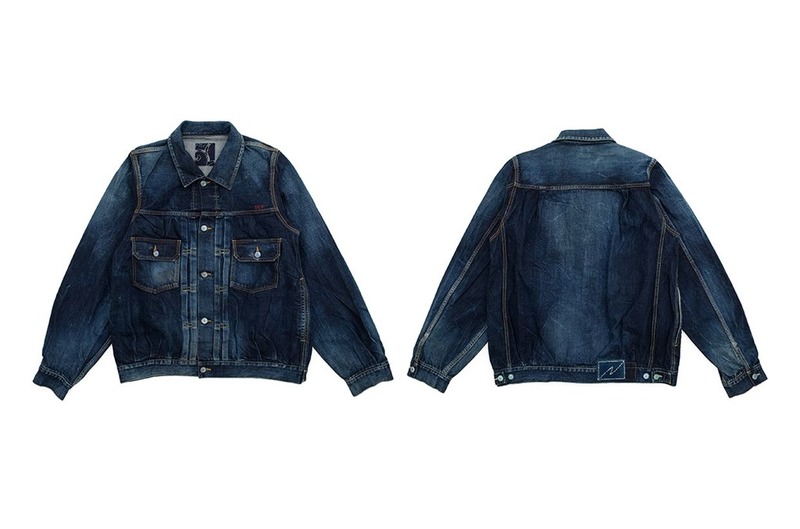 The original copper buttons specifically produced for this denim are individually painted by hand. 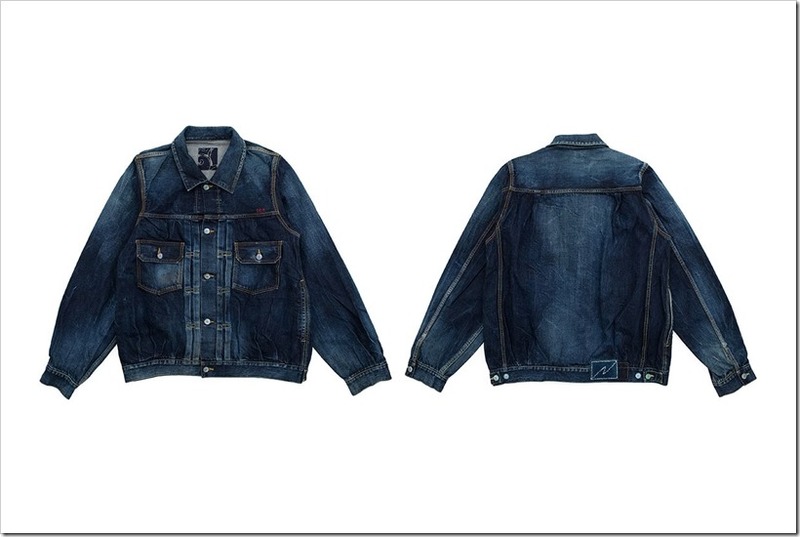 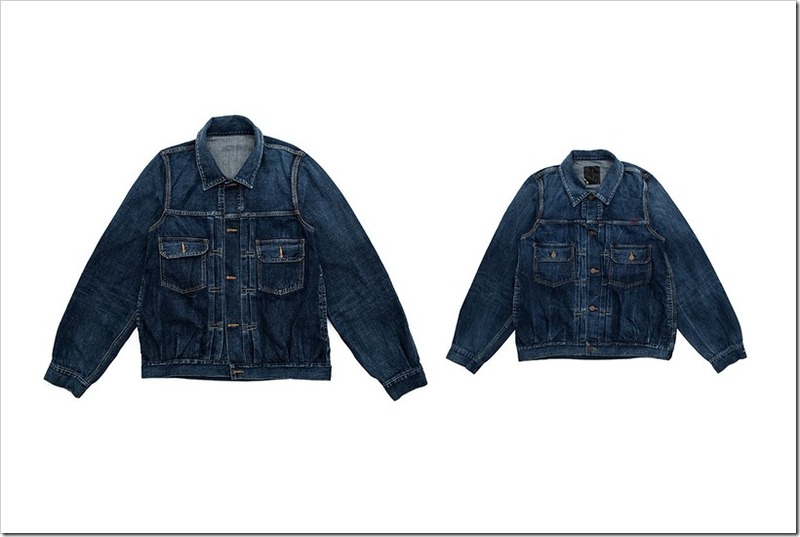 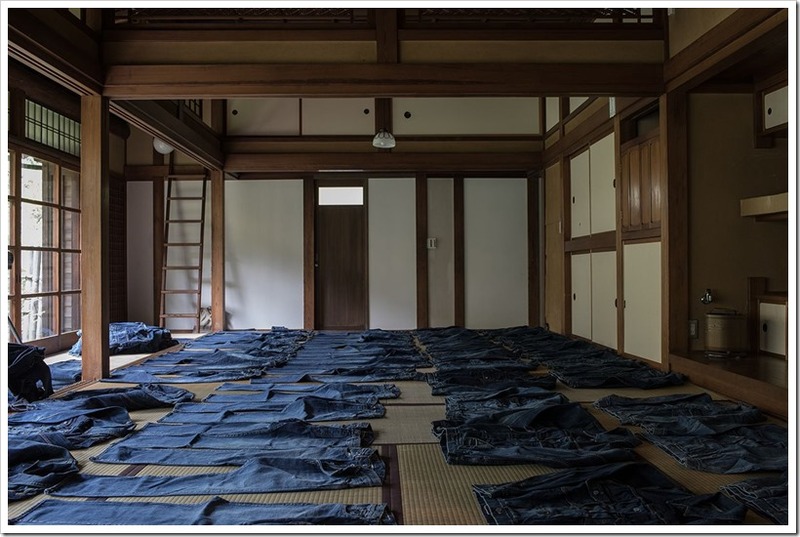 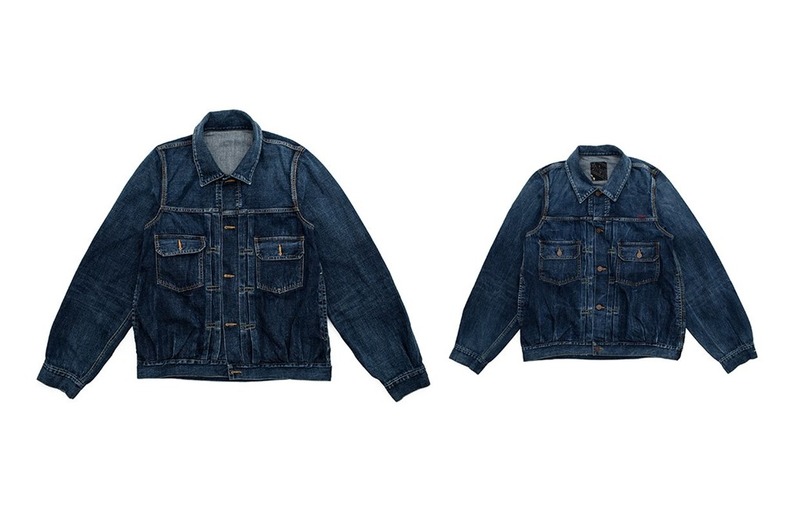 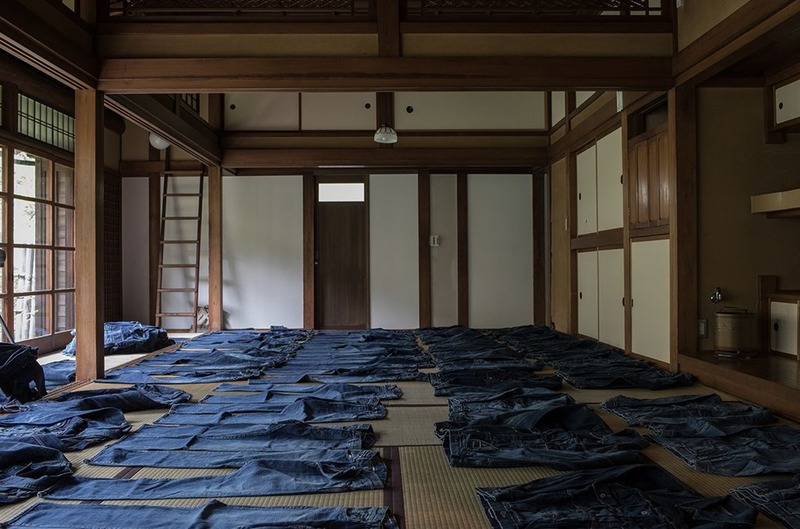 Below are some images to show as to how it looks before and after the process .The image on the left shows the denim before the processing is applied, and the image on the right shows the denim after the processing is applied. 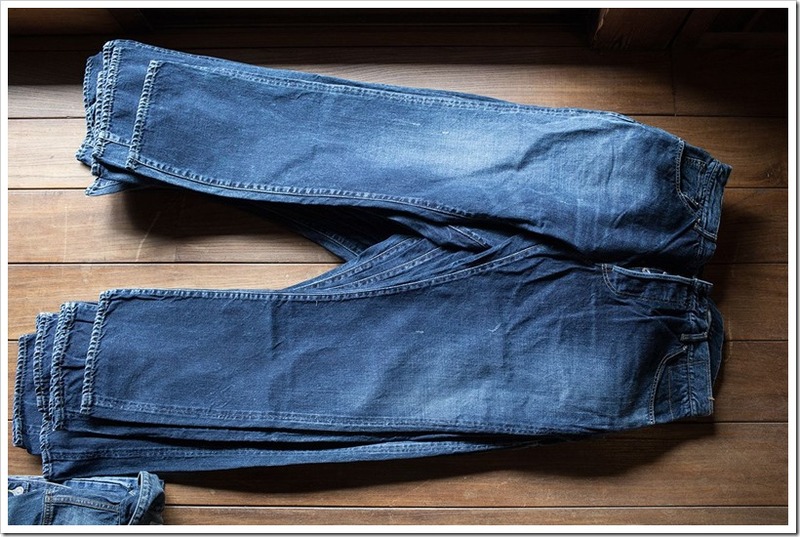 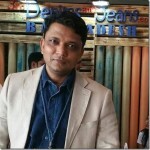 The difference may not be very apparent but the brand claims that it has come out with some very unique denims which give it a definitive edge in creating Vintage Denims !